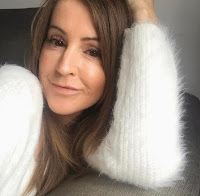 I love to wear nail polish and for the most part stick to natural colours, nudes, pinks etc. I love pink! On the odd occasion I'll go all wild and choose a purple or a blue. I'm definitely getting a bit more adventurous. Polish) They told me they would easily last the duration but they did not. I was really disappointed actually as one of my nails chipped in the first week, then two more in the second week and it's not like they were getting a bashing or anything as I was just chilling by the pool and soaking up the sun! 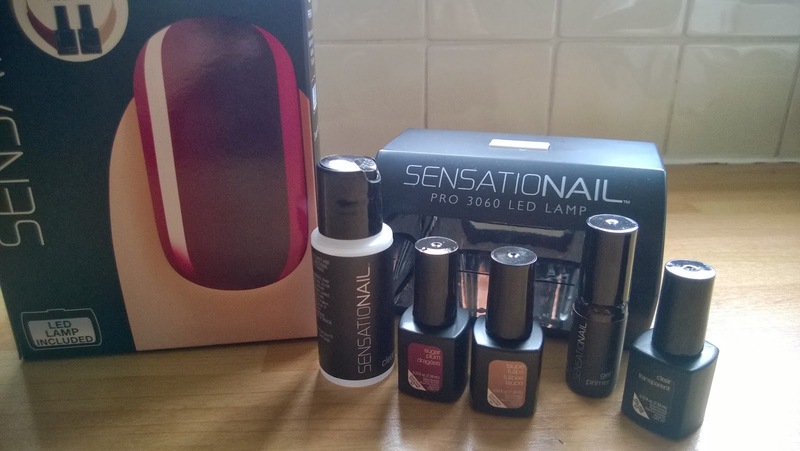 I've not had gel nails since that holiday but I was pleased when Santa bought me a Sensationail gel kit for Christmas. I was a bit sceptical, thinking that surely a home gel kit can't be much good? Emily pestered me to try it on her first so I gave it a go. First attempt = epic fail. The instructions said to put on thin layers of the gel base/top coat and the colour polish but I obviously didn't quite understand what a thin layer meant. By the time I had finished and cured all her nails under the LED lamp she looked like she had been to an extremely dodgy nail technician that had applied some kind of acrylic nails with a blind fold on. They were so thick and stumpy. Apparently the trick is to not get any of the base/top coat/colour on the surrounding skin. Umm...didn't take any notice of this either as poor Emily's skin was cured to her nails and was very uncomfortable. She did ask me to do them!!! Back in the cupboard it went until two weeks ago. I had a spare hour so thought I'd give it a try on my nails having learnt from my previous mistakes. I took my time, read the instructions again, applied thin layers each time, and cleaned the excess from my skin before curing. Love the colour. Love the glossy look. Look the fact they are instantly dry and ready to go. One thing I can say is that they have definitely lasted just over two weeks without one chip and still fabulously shiny. I was wrong in thinking the at home kit would not be as good as going to a salon. I was very wrong. Mine are even better. I am truly impressed by the Sensational kit. And of course practice will make perfect!! The colours are a bit expensive, around £12.50 each, it's a bit of a long process and the removal is a bit of a phaff. I used the soak off method to remove them. Soaking bits of cotton wool in nail polish remover with acetone and then wrapped in tin foil for around 10 minutes allowing the gel to lift off. Having said that, I've really loved how my nails have looked for two whole weeks with no chips or dulling. 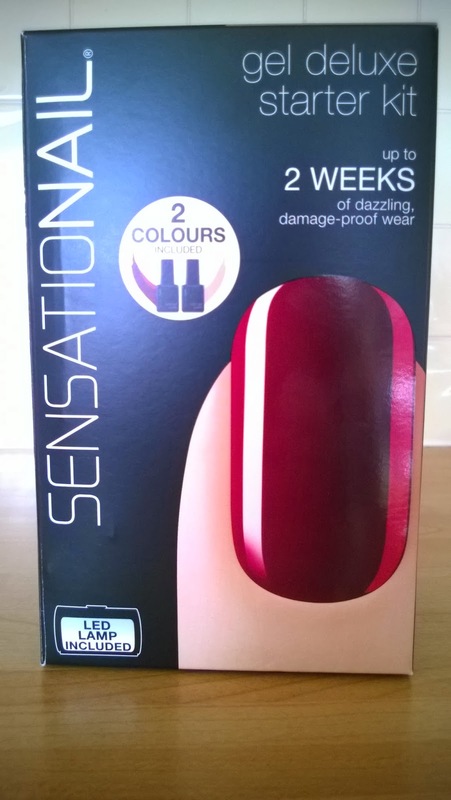 Sensationail have loads of fab colours to choose from but my feeling is that because it lasts so long I will always opt for a more natural shade as it will need to go with every outfit. Not so easy if you're stuck with a bright colour. I've a sneaky feeling I will not be as happy with my regular nail polish now, having to reapply every few days. Gel all the way from now on me thinks. Mine was on offer at Boots for £45 just before Christmas which included two tiny sample colours. On their website the starter kit is currently priced at £69.99 with one sample size polish. The offer at the moment also includes one full size polish of your choice and free delivery. If you love wearing colour on your nails, this starter kit is worth investing in! Click here to go straight to their website and check it all out. Salon or home? Or have you also tried both? I'd love to hear your opinion.